Father's Day Gifts Online - It's Time To Appreciate! Truly anyone cannot deny the Pam Brown's Quote about fathers that says, "Dads are most ordinary men turned by love into heroes, adventurers, story-tellers, and singers of a song. "Fatherhood is indeed a tough job that every father does selflessly. 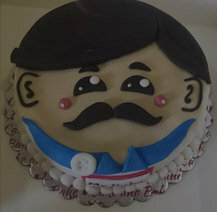 Papa, one of those who do not express what they want, but always manages to fulfill your demands. He does not wear a cape but is a Superhero. He does not possess the superpowers but can do anything to bring a smile to your face. He is the special man of your life - The Hero. It's time to celebrate your Hero on this Fathers Day, June 17 and shower all the love he deserves. Need not worry about the options because we, at FlowerAura, have plenty of them. We have a wide variety of Father's day gift ideas and cake collections for that strong-on-the-outside man; products that would appeal to his soft side on the inside. Choose from a wide collection of the best happy Father's Day gifts designed for your Hero, your Father and tell him that he is the best dad in the world. 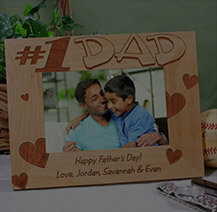 Check out our fabulous personalized Father's Day gifts which also include accessories, to express your love for your dad in the most meaningful way by adding a personal touch to your gift. Why Do We Celebrate Father's Day? The idea of celebrating Father's Day was coined by Ms. Sonora Dodd from Spokane, who was raised by her father Mr. Henry Jackson single-handedly along with five of her siblings, after the demise of her mother during childbirth. Thus, in order to honor the role of fathers in raising a family and in the society overall, Sonora worked relentlessly for years to ensure that the idea of celebrating Father's Day become a reality. Finally, In 1972, President Richard Nixon confirmed the national observance of Father's Day to be held on the third Sunday of the month of June. Since then, over the years, the idea of celebrating Father's Day reached worldwide. 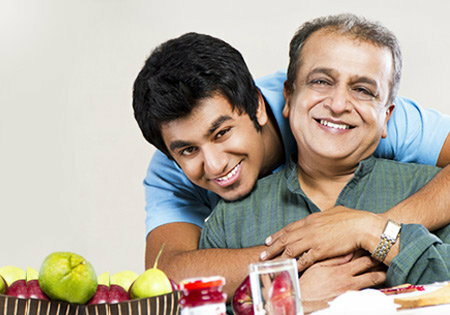 Today, millions of people celebrate this festival by giving Father's Day gifts to their dads. 17th June 2018 day to appreciate all the fathers. It's just recently you got married. You are a doting wife. You are a new mother. And, you will always continue to be the loving daughter. And since Father's day is around the corner, definitely you must be looking for a perfect Father's Day gift for your papa. But, you are struggling with finding a meaningful Father's Day gift for your papa because you are not able to find something new. Right? Well, then fret not, because FlowerAura brings to you its meaningful collection of Father's Day gifts from daughter that your father would surely adore. So, make your dad feel how special he is on Father's Day with our unique Father's Day gifts. Buy a special gift from FlowerAura's wide range of gift options and Wish Happy Father's Day to your dad and celebrate all his endeavor. With our special Father's Day gifts online, you need not be apprehensive a tad bit. You just need to place your order comfortably seated at your home or anywhere else and FlowerAura will cater to send father's day gifts to India with its hassle-free and reliable delivery services. The timely delivery will be taken care of by us right at your doorstep! Your father has been an epitome of strength for you. He has been the guidance you always care for. He has given his entire life for you. His life surrounds your happiness. Isn't it? The only fact is that their attempts are served so selflessly that you fail to acknowledge them. Well, you must be aware of the fact that Father's Day falls on the third Sunday of June and it gives you a great opportunity to express your gratitude for all the unconditional love that he has showered upon you. Don't leave this Fathers day without any celebration. If you are baffled regarding the choice of the popular gift ideas, well, we are here to help with exclusive Father's Day gifts from son. You will surely be charmed by the plethora of online options we have. And a lot more! Available in a combo as well as solitary gifts, these will surely help you impress your dad on Father's Day. To make your online shopping experience a hassle-free one, we ensure to provide you the best gift delivery. FlowerAura provides you a wide range of thoughtful Father's Day gifts for dad that can help you convey your heartfelt message eloquently. Yes, with the aid of FlowerAura's same day gift delivery now you can send Father's Day presents in India no matter where do you put up. If you live in a different country away from your father and cannot manage to visit your dad on Father's Day due to your hectic schedule then, you can send fathers day gift in India through FlowerAura and avail a next-day delivery. In fact, you can make Father's Day a very special day for your dad all the way from United States, United Kingdom, Canada, Australia & All prime countries by sending special Father's day gifts right at 12 a.m. on June 17 through FlowerAura's midnight delivery. So, go ahead and do not waste this chance to say how much you love him with meaningful Father's Day gifts from FlowerAura. 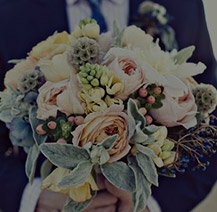 Shop Father's Day Flowers for dad from us and enjoy free shipping. Truly, fathers are like superheroes who protect their children from every obstacle that comes in the way. From working hard and extra hours to secure his family's future to form the basic foundation of the house, fathers do it all without uttering a word. Thus, such gentle souls deserve to be celebrated in life. And, what's better occasion there could be other than Father's Day to pay your due respect to your dad? So, on the occasion of Father's Day make sure to express your love, care, affection, and respect for your father in a meaningful way. We, at FlowerAura, offer you a wide range of meaningful Father's Day special gifts that will help you in expressing your emotions for your dad. 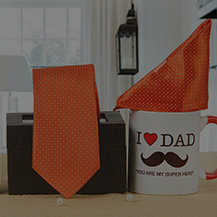 No matter which country you are in, you can order the best Father's Day gifts for your dad all the way from South Africa, Russia, Romania, Japan and Europe by selecting from our exclusive collection that includes flowers, cakes, wallets, personalized fathers day mugs & key chains, photo frames, father's day greeting cards etc. So, make your dad feel loved and valued with the best gift for father on Father's Day from FlowerAura.